On Sunday the Williamstown CYMS Football Club ventured into new territory, claiming the Division One premiership and for the first time since joining the VAFA in 1983 we have ventured into Premier C, a huge step forward for the club on its journey to the upper levels of the league. The entire week was a highlight for the CYs. On Tuesday night a continually developing midfielder in Jack Gray won the Division One LS Pepper Best and Fairest. Congratulations Jack on your determination to constantly improve and the reward for your effort is more than justified. Tuesday and Thursday night training sessions were sharp and there was an air of expectation floating around the Fearon with the players clearly focused and determined to not let an opportunity pass them by. Selection on Thursday night was tough, Montebello and the coaching staff had the unenviable job of selecting a team of 22 representatives of the club with a full list to choose from. As with all Grand Final teams there were players who were left out of the team, but Monty and his selection committee decided that it would be hard to change the team after the emphatic Semi Final win a fortnight prior, and therefore the team remained unchanged. Prior to the game the change rooms had the smell of liniment and the energy was calm and focused with an undercurrent of confidence. It was then, prior to the team engaging in the contest that I felt that it was going to be a very tough day for the CYs to get beaten. I have been around football clubs long enough to understand and feel the collective presence and the CYMS were primed for the conflict that was going to decide the Division One Premiership. The game started with a rush, as alluded to, the boys in the Gold and Blue were on from the first bounce, with a fantastic opening quarter that really took Therry Penola by storm. They failed to get going at the start of the game, and they never really provided enough composure to compete for the cup on the day. By the end of the first quarter the score was 6.1 to 1.1 and it looked and more importantly felt ominous. It had been a tough couple of weeks for Therry and possibly that played a part, however the CYs were relentless and denied them clean ball use, with pressure from Jason Bencich and the defensive team repelled repeated shallow forward entries. Lead by selfless Captain Ben Gray, he and Ryan Danaher both denied clean marking opportunities for the Therry forwards and Fin “The General” Adamson thumping the ball away from expectant marking hands on more than one occasion. When the ball did come to ground in the Therry forward line Phil Johnson, Sean McVernon and Tim “The Law” Murphy tidied up the mess. At the other end of the ground there was a mixture of strong marks and running goals throughout the match. Matt “Magoo” Johns kicked 6 majors, with a few more narrowly missing, on his way to a Best On Ground effort. He was fantastically supported by Luke Molan (1 goal) and resting ruck man Steven Puhar (3 goals) who consistently took marks or brought the ball to ground for the numerous running players to then capitalise, which is reflected by the spread of goal scorers. The midfield delivered consistent quality deep forward entries which troubled the Therry defence. The likes of Michael Cini relentlessly harassing the opposition when trying to clear the ball, and supported vocally but the “Peanut Gallery”, the CYs created panic amongst the Therry Penola defenders, this lead to poor decisions saw numerous turnovers on the way out of the back line that turned into CYs goals. Dan Calman-Oor of Co.Create was the man constructing the midfield dominance, with a physical presence and extraction skills to ensure quality ball use to the outside midfields like, Heaver, Richards and Chan. Joel Hogarth, and Ryan Joy both with minor injury concerns after the Semi Final were relieved they had the week off to recuperate. Both played pivotal roles throughout the game. Joel who shows enormous potential and even more speed had the confidence to stick the ball under his arm and run, break lines which allowed the forward CYs players numerous one on one contests, a forwards delight. Joy had a Stuart Dew like presence, influencing forward contests when it mattered, his ability to read a contest and then with classy foot or hand skills capitalise were evident with a superb roving goal from a marking contest early in the game when the CYs set up the match winning lead. Tom Johnstone, provided Monty with options all around the ground. Tom who played parts of the year with the Western Jets is pure quality. Strong and quick he provided inside and outside support throughout middle of the ground. Speaking of options Kurt “Bood” Scown and Cameron Oates provided more swing than the infighting of the Rudd-Gillard-Rudd government, with both chipping in at either end of the field with contested marks and physical contest. An article wouldn’t be complete without mention of the “Golden Child” Nic Holdsworth. Some say its because of his unblemished view in the eyes of coach Montebello, I think it is because the man Holdsworth would bleed Gold, such is his no nonsense attitude to football and his utter dedication to performing at the highest possible level. Congratulations again to the Williamstown CYMS Football Club on a fantastic year. Its so rewarding to see the club achieve success after the efforts of the likes of Peter Welsh, Bill Deller, Pat Walsh, Paul Johnson, Peter and Mick Buckley, Ken West, Whiskers, John Tuck and others that i have inevitably forgotten, over the last few years. The coaching staff of Matt Montebello, Paul Johnstone, Matt Wynd and Dene Macleod, who spend so much time refining the team and developing the players into better footballers but more importantly into better members of the community as a whole, were able to taste the fruit of their toil, the taste of success flowing from the premiership cup. This year Sam and I have been fortunate enough to work with the VAFA Division 1 team Williamstown CYMS in collaboration with their trainers, mostly Osteopathy students, to keep as many players on the park and performing at the highest level possible. My involvement with the club extends back to 2006 as a player, captain and as of this year in a support role. Sam has spent many years as a trainer, and this year has helped out on match days intermittently. 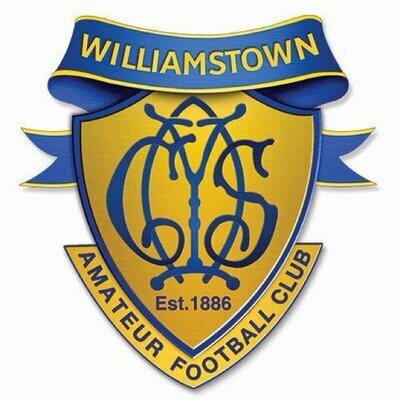 The joy to see the evolution of a club, that has one of the longest histories of any sporting team in our country, is palpable within the local Williamstown community and reaffirms the development of the club, with a strong commitment to contributing to the local area in positive and meaningful ways. Obviously football is the key ingredient and with the increasing link of Football Williamstown (inclusive of the VFL, VAFA and Junior teams) the club has seen a steady improvement in the on field results. 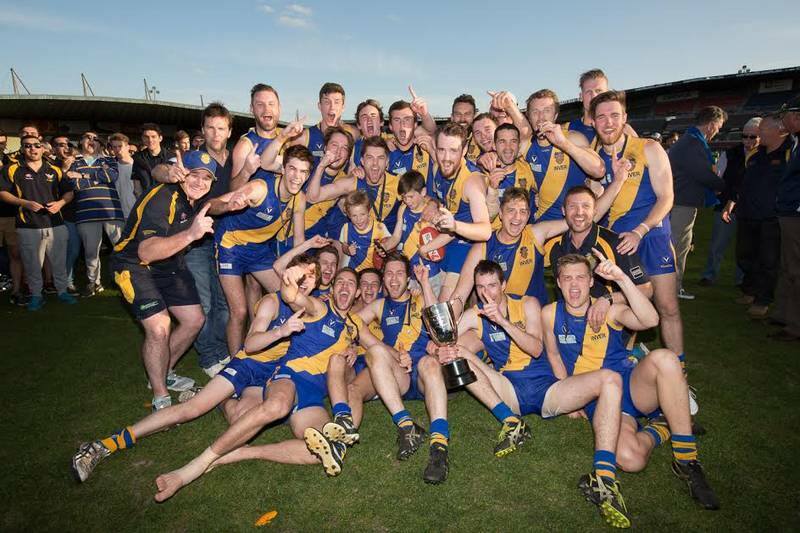 Narrowly missing out on a Grand Final appearance last year the CY’s were poised to go one step further this year and set their sights on a flag. The CY’s finished the season in second place on the ladder behind Therry Penola. Therry has had a fantastic year, not being overcome throughout the entire home and away season to end at 18-0. The CY’s being the other standout team of the year with a record of 14-4, 2 games clear of 3rd place. While the CY’s had a few hiccups throughout the year the dominance of Therry may have been slightly overstated by some. In the two encounters between this weekend flag contenders there were vastly differing results. The first match highlighted the threat of Therry and established the hierarchy of the division. The score that afternoon out at John Pascoe Fawkner saw the CY’s go down 15.10.100 to 4.6.30, a defeat that would loom large amongst the entire division for the year. In the return leg at the Fearon Reserve, by the beach in Williamstown, the result revealed a different story, Therry managed to hold on for the win, the CY’s with their chances to win late in the game failed to overcome their opponents. The score was a subdued 6.13.49 to 7.12.54, both sides having equal scoring opportunities in a rather brutal affair. The result of the game, whilst disappointing, steeled the resolve of the men of the gold and the blue., the beast of Therry was vulnerable. So came the first final, the unconquered Therry Penola against the primed Williamstown CYMS. At Bill Lawry oval in Northcote the ample crowd saw a double header with the Therry seconds getting a break on the Williamstown seconds that couldn’t be clawed back. Hopefully this wasn’t an omen for the senior team. The main event lived up to expectations. A bruising match, the brave CY’s came out of the blocks firing and opened up a small lead going into the quarter time break. The margin extended slowly throughout the game until early in the last quarter when Therry strung three goals together to bring the margin back to 10 points. The CY’s hadn’t been outplayed however, they had been wasteful, still providing forward entries but not converting those into meaningful scores. Some crucial one on one battles throughout the last quarter, especially by the likes of the Gray brothers, Matt Johns, Dan Calman-Oor and Ash Heaver were rewarded with steading goals that extinguished the Therry revival and saw the final margin at Williamstown CYMS 16.10.106 def Therry Penola 10.10.70. The result for the CY’s, a trip to the grand final and promotion for the first time ever into C Grade of the VAFA for the 2015 season. The Grand Final this weekend promises to be hotly contested affair with both sides looking to cap off wonderful years with a premiership cup. The game will be played at VISY Park (Princes Park Drive, Carlton North) 2.30pm SUNDAY, for what should be an arm wrestle of a game. Therry travelling through the home and away season undefeated show consistency that should have them starting favourite for the game, but the CY’s will be looking to reproduce the type of football that saw them outplay Therry in the Semi Final. My heart lies with the Gold and Blue, with my prediction being a CY’s win by 21 points.